The Lemonheads return with a sequel to their well-received 2009 covers album, Varshons. Varshons II includes beloved songs by The Eagles, Nick Cave & The Bad Seeds, Paul Westerberg and more, as well as lesser-known gems by Florida Georgia Line and The Eyes, and “Unfamiliar” from Evan Dando's GiveGood project. 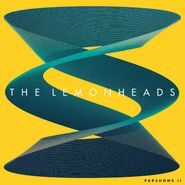 The Lemonheads are no stranger to performing covers at their live shows, and the new collection is a reminder of just how adept they are at making others' songs their own. Dando's smooth and languid vocals are a good fit for many of these, including Yo La Tengo's light and pretty “Can't Forget.” John Prine's “Speed of the Sound of Loneliness” also receives a warm and expressive rendition.